Johnny Manziel was in Dallas Thursday for his initial hearing regarding charges from his alleged assault of ex-girlfriend Colleen Crowley in January. In an unrelated incident, Manziel told police that he was the victim of a hit-and-run on Monday. 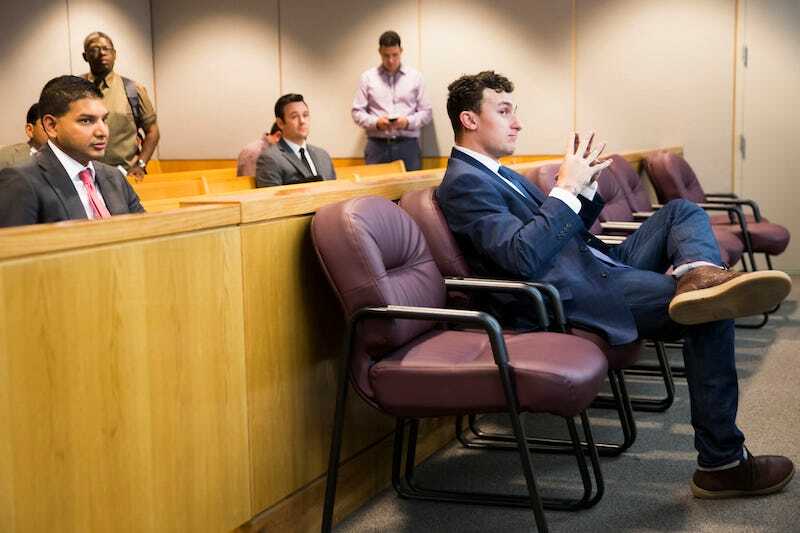 When an Associated Press reporter contacted Manziel’s defense attorney Robert Hinton about Monday’s crash, Hinton sent a revealing message that included Manziel’s probability of passing a piss test right now.